Happy National Pigeon Day to our FLOCK! Today we’re celebrating these creatures that keep us flying high. We can’t get enough of their tasty jams and loyal following, “The Flock,” and we want to take today to honor Pigeons and all that they do! Let’s take a look at some of our favorite qualities that we’ve deemed priceless in Pigeons. Pigeons are incredibly smart and complex. They can recognize letters of the human alphabet, like F U N and K, and can even remember humans in photographs, like when we see a picture of Scrambled Greg. The band members of Pigeons Playing Ping Pong are fantastically smart, as they’ve been able to create beautiful and uplifting songs, while also learning to master their instruments. Pigeons have extraordinary navigational abilities. They use the sun (or the melting lights) as a guide and have an internal compass. 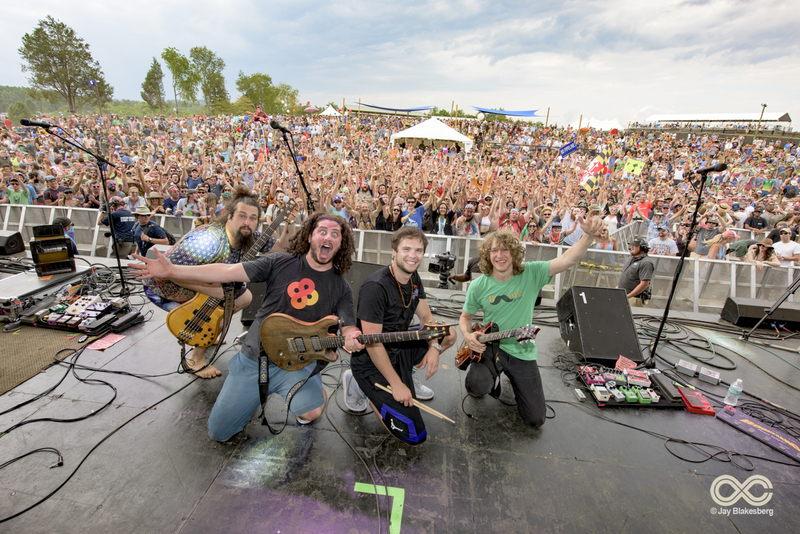 We’ve all seen the power music has to spread messages, and Pigeons Playing Ping Pong use their music to harness the power of hope while flocking all over the country. Their internal music compass has flown them to places far and wide. Pigeons are very social, as they are often seen with flocks of 20-30 at a time. Pigeons Playing Ping Pong are some of the friendliest people in show business, which can be reflected by their enormous following of fans, The Flock. Once you meet them, you’ll make it your mission to flock to the next show. Pigeons have excellent hearing abilities. They can detect sounds at far lower frequencies than humans are able to. So, of course, we’re thankful for that, because we can’t get enough of Pigeons Playing Ping Pong’s blend of high-energy psychedelic funk. Their incredible ear has given us jam after jam, making us lose our minds! The pigeon has side-mounted eyes, unlike humans and owls which have forward facing eyes. As pigeons have monocular vision rather than binocular vision, they bob their heads for depth of perception. We can’t help but bob our heads when the Pigeons are playing! Pigeons have a high level of endurance, which allows them to fly for hundreds of miles at a time. Pigeons Playing Ping Pong also have remarkable endurance, which has allowed them to keep playing with their end-of-the-world enthusiasm and undeniable live energy. Pigeons are known for their loyalty to others. Pigeons Playing Ping Pong have a loyalty to fun, and the Flock. They continue to give their Flock a reason to stick by their side and to lead them to new places, far and wide. Pigeons are without a doubt one of the most unique animals in the world, and Pigeons Playing Ping Pong are one of the most unique bands in the world today. They never fail to put the FUN in FUNK, wherever they go. Here’s to more flights with the flock on the horizon. Happy National Pigeon Day!